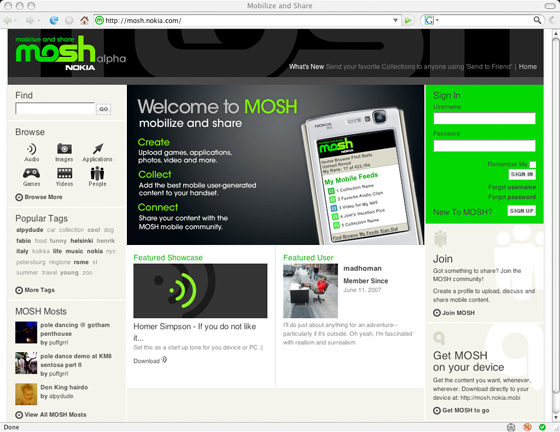 More updates from our post yesterday on Mosh, Yahoo’s new social networking initiative. One reader has sent in what could very well be a screen shot of the service. It could also easily be a quickly mocked up fake, but I don’t care because Darth Vader holding a banana and a guitar is something that I feel compelled to put up on TechCrunch. If it’s real, my guess is the Mosh team is located in Building 2 in the Sunnyvale offices. Hi guys. 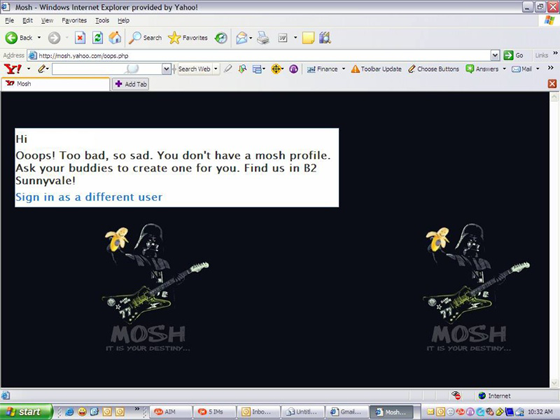 Two readers have told us about Nokia Mosh, which appears to be a completely separate product with no connection to Yahoo Mosh. Screen shot of that is below also, and a screencast of the password-protected site is here. Thanks for all the tips, everyone. This is what’s fun about blogging.